Andrew Reid began singing and playing the organ as a child at his local village church in Kent, and was an organ scholar at St Matthew’s, Northampton, at St Catherine’s and Robinson Colleges, Cambridge, and at Westminster Cathedral, before becoming Assistant Master of Music at Westminster Cathedral. He moved on to Westminster Abbey, where he was Sub Organist and played at many national services. In 2004 he became Director of Music at Peterborough Cathedral, and during his time there was Musical Director of the Northampton Bach Choir. 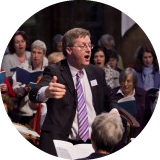 Andrew became Director of the Royal School of Church Music in 2012, and in 2017 took up the position of Managing Director of Harrison & Harrison Organ Builders in Durham. Timothy Byram-Wigfield was a chorister at King's College, Cambridge under Sir David Willcocks and Philip Ledger. 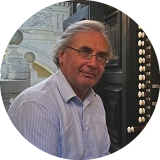 Following study at the Royal College of Music as organist, pianist and violist, he became organ scholar at Christ Church, Oxford, sub-organist at Winchester Cathedral, becoming Master of the Music at St Mary's Cathedral, Edinburgh (Episcopal) in 1991. 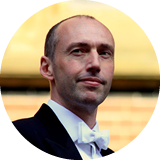 In 1999 he took up the new post of Director of Music at Jesus College, Cambridge, and during his time in Cambridge he also held the position of Musical Director of the Northampton Bach Choir. In 2004 was appointed Director of Music at St George's Chapel, Windsor Castle, and in 2013 he took up his present position as Director of Music at All Saints Margaret Street, London. 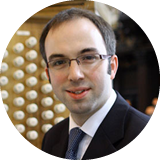 Simon Johnson is presently Organist & Assistant Director of Music at St Paul’s Cathedral. He was Head Chorister of Peterborough Cathedral Choir and went on to hold organ scholarships at Rochester, Norwich and St Paul’s Cathedrals, before becoming Director of Music at All Saints’ Church, Northampton, during which time he was Musical Director of the Northampton Bach Choir. Between Northampton and St Paul’s he served as Assistant Master of Music at St Albans Cathedral. Simon's choral and organ recordings have attracted widespread critical acclaim and he has also worked as soloist and continuo player with groups including the London Symphony Orchestra, Royal Philharmonic Orchestra and The Cardinall’s Musick. He has reached a wider fame through his DVD about the Organ at St Paul’s. 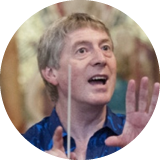 David Temple MBE is the Musical Director of Crouch End Festival Chorus which he has conducted at the Barbican Centre, Royal Festival Hall and Symphony Hall, Birmingham. He also appears regularly with Hertfordshire Chorus at venues including the Royal Albert Hall and the Sage Gateshead. He came to London in 1972 and joined the London Philharmonic Choir where he sang under the chorus master John Alldis, performing with conductors including Boult, Stokowski, Solti, Haitink, Barenboim, Giulini and Rattle. As chorus master of the Norfolk and Norwich Festival, he worked closely with Ray Davies of The Kinks on his choral work The Flatlands, and has regularly collaborated with him on live performances of his popular hits. Malcolm Tyler was born in Peterborough and won a Henry Smart Scholarship to study at the Royal Academy of Music. He held organist positions at Peterborough and Canterbury Cathedrals, and worked for a time in South Africa. Upon his return to the UK he became Music Advisor for Banffshire, and then here in Northamptonshire. He is widely credited for securing the foundations of what is now known as the Northamptonshire Music and Performing Arts Trust. Whilst service at the County Music Service he held his position as Musical Director of the Northampton Bach Choir, and brought all these groups together for a number of successful “Northampton Nights” at the Royal Albert Hall, performing massed performances of works including Verdi Requiem and Puccini Messa di Gloria. Malcolm passed away in his home in Northampton in 2010. 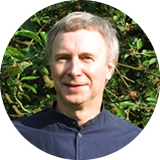 David Ponsford is a tutor at Cardiff and Bristol Universities, and is a scholar and performer of the keyboard music of the seventeenth and eighteenth centuries. David was an Organ Scholar at Emmanuel College, Cambridge, studying with Peter Hurford, Lionel Rogg and Piet Kee. 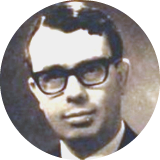 He was Director of Music at St Matthew’s Church in Northampton between 1976 and 1979, during which time he served as Musical Director of the Northampton Bach Choir. 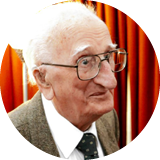 He has been Publications Officer for the British Institute of Organ Studies, and together with Anne Page he founded the Cambridge Academy of Organ Studies. David is committed to continuing to perform, research and teach in order to bring a greater understanding of the music to as wide an audience as possible. Timothy Day was educated at Oxford University where he was an organ scholar at St John’s College, studying that instrument with James Dalton and Nicholas Danby. He read Music and then studied composition with Robert Sherlaw Johnson. After his time in Northampton he was appointed music curator in the British Library’s Sound Archive. He created in the Library an educational trust to fund regular seminars on music and recording and to support the Edison Fellowship scheme. Timothy writes on cultural history and his publications include A Century of Recorded Music: Listening to Musical History and contributions to three Cambridge Companions including The Cambridge Companion to Singing. He is currently working on a study of the performing styles of English cathedral choirs in the twentieth century. 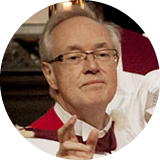 Stephen Cleobury CBE was organ scholar at St John’s College, Cambridge and sub-organist of Westminster Abbey before becoming Master of Music at Westminster Cathedral in 1979. He was also the President of the Royal College of Organists from 1990 to 1992. He is a Fellow of the Royal College of Music, and an Honorary Doctor of Music at Anglia Ruskin University. In 1982 he took up the position of Director of Music for the Choir of King's College, Cambridge. He was also Chief Conductor of the BBC Singers from 1995 to 2007, and has been Conductor Laureate since 2007. In 2008 Stephen was awarded an Honorary Fellowship of the Royal School of Church Music. He was appointed Commander of the Order of the British Empire in the 2009 Birthday Honours. 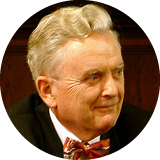 Michael Nicholas was born in 1938 and educated at the City of London School and Jesus College, Oxford, where he was Organ Scholar. After graduating, he became organist and choirmaster of St James Church, Louth, after which time he was organist and choirmaster of St Matthew's Church, Northampton. During this time he also served as Head of Music at Northampton Grammar School (now Northampton School for Boys) and Musical Director of the Northampton Bach Choir. During this time he commissioned works from composers including Sir Richard Rodney Bennett and Herbert Howells. Since leaving Northampton he has been Organist and Master of the Choristers at Norwich Cathedral and the Church of St Mary-le-Tower, Ipswich. 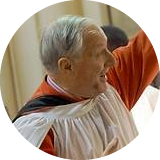 He has published various works for choir and for organ, and has written Sightsinging (1966) and Muse at St Matthew's (1968). 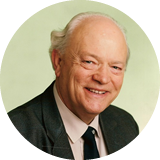 John Bertalot was born in 1931 in Kent, and was an organ scholar at the Royal College of Music, and in both Oxford and Cambridge. After his studied he held the position of Director of Music at St Matthew’s Church, and of the Northampton Bach Choir. He then spent eighteen years as Director of Music at Blackburn Cathedral, then following his predecessor in Northampton over to the United States. For sixteen years he was Director of Music at Trinity Church, Princeton, New Jersey, where he founded the acclaimed Princeton Singers. In over forty years of professional music-making he has led choral workshops all over the world. He has directed courses for the RSCM in UK, USA, Canada, South Africa, Australia and New Zealand. 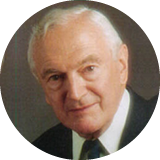 Robert Joyce was born in Tynemouth, Northumberland in 1927, and educated at Tynemouth High School and the Royal College of Music where he was a pupil of Harold Darke and William Harris. In 1946 he went up to Corpus Christi College, Cambridge, and in 1950 he was appointed organist of St Matthew’s Church, Northampton, a position held concurrently with those of conductor of the Northampton Bach Choir and the Northampton Symphony Orchestra. In 1958 he was appointed Organist and Master of the Choristers of Llandaff Cathedral. He retired from Cathedral life in 1973 in order to concentrate on lecturing and teaching at the Welsh College of Music and Drama, Cardiff where he became Senior Lecturer. He made two solo organ recordings, one of which consisted of a notable early performance of Guilmant’s First Organ Sonata. Robert passed away peacefully in June 2018 after a long debilitating illness. Alec Wyton was perhaps better known in North America than in his homeland of England. He grew up in London and Northampton, and was the accompanist at the first performance of Britten’s Rejoice in the Lamb, when Britten himself donned choir robes and conducted. After his period in Northampton, he emigrated to the United States. After positions in Dallas and St Louis, from 1954 to 1974 he was Organist and Master of the Choristers at the Cathedral of St John the Divine, New York. There he broke all the rules – working with his choir alongside Duke Ellington, Ned Rorem, Leopold Stokowski and the cast of the musical “Hair”. Besides presiding over these prominent church music programs, he was the coordinator of the commission that produced The Hymnal 1982, the most commonly used hymn book in The Episcopal Church. 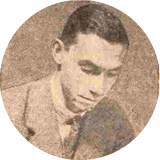 Alec died in Danbury, Connecticut, in 2007. Philip Pfaff was born in Ripon, in 1914 and died in 2014. He was a chorister at Ripon Cathedral, and later held a choral scholarship at St John’s College, Cambridge. Following post-graduate study at the Royal College of Music he was appointed Organist at St Matthew’s Church, Northampton, and Musical Director of the Northampton Bach Choir. At St Matthew’s Pfaff became the influential music teacher for one of Northampton’s greatest sons, Sir Malcolm Arnold. In 1938 Pfaff completed his work on an edition of Handel’s Messiah, and directed the Northampton Bach Choir (with the young Sir Malcolm Arnold as principal trumpet) in what was surely one of the earliest “period” performances of Handel’s music. Denys Pouncey was born in 1906 and educated at Marlborough College and Queens' College, Cambridge. He was Assistant Organist at St John's College, Cambridge from 1928 to 1934 and then took up the position of Organist and Master of the Choristers at St Matthew's Church, Northampton, where he founded the Northampton Bach Choir for a concert on Palm Sunday 1935. In 1936 he was appointed Organist and Master of the Choristers of Wells Cathedral (where he succeeded Conrad Eden, his successor being Anthony Crossland), a position he held until his retirement in 1970. During the Second World War, Pouncey served in the Royal Air Force, and his duties at Wells Cathedral were filled by the Reverend H. G. Bawtree-Williams, an amateur organist from Hampshire. Denys died in 1999 at the age of 93. During various interregnums Walter K Smith (1965), John Frith (1976-7), Paul Knappett (July 1994), Stephen Meakins (November 1994), and Richard Tanner (May 1998), have also conducted the Choir in concert. Image of Denys Pouncey © Copyright Johnston Press plc.